American Legion Post 295, Vietnam Veterans Memorial, is a proud Commemorative Partner of the Vietnam War Commemoration, to learn more about the Commemoration,please visit www.vietnamwar50th.com. 2017 Auxiliary Unit 295 Annual Dues. Payable by Dec 31st of each year. 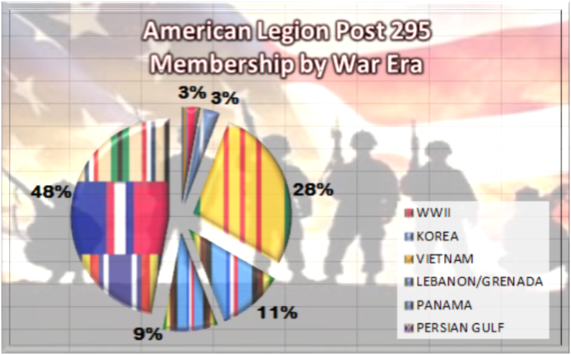 2017 Sons of the American Legion Annual Dues. Paid in advance by Dec 31st of each year. WWII Combat Infantryman Badge recipients were retroactively awarded the Bronze Star Medal in 1947. If you have not received yours we can help. More information and criteria is available here. Veterans assistance during the government shutdown. The government shutdown is in its fourth week, and there is no end in sight. Much work has ground to a halt, and about 800,000 government workers are feeling the effects. Less than half are on unpaid leave, while the remainder of those employees are working without pay — including more than 42,000 members of the U.S. Coast Guard. The Coast Guard’s finances, which are handled through the Department of Homeland Security, falls under one of numerous government agencies that’s been forced into shutdown. Fortunately, the Senate is moving legislation that would pay Coast Guard service members even if the budget stalemate continues. Events like these can leave veterans struggling to make ends meet — and, thus, leave many in need of immediate relief. Without a paycheck, many Americans can’t afford to pay their rent, provide food for their families or get lifesaving medical treatment. Through our Veterans and Children Foundation, we provide direct monetary grants to veterans and military personnel with minor children that cover the costs of housing, food, utilities, clothing and medical expenses in times of financial hardship. Thankfully, members of the Army, Navy, Air Force and Marines are unaffected by the shutdown because funding for their departments was finalized last fall. The same goes for veterans’ benefits, since the Department of Veterans Affairs saw its full fiscal 2018 budget approved in September. But your support is critical to our ability to respond immediately when another emergency arises. Please make a gift to our Veterans and Children Foundation today. Every dollar of your gift will go directly to helping veterans and their families get back on their feet. Financial hardship can strike without warning. We need to be prepared to step in at a moment’s notice. Help ensure we can be there for veterans and their families with a gift to the Veterans and Children Foundation today. Welcome to 2019, Post 295 continues our service to the Greater Gaithersburg-Germantown area since we were Chartered in 1984. The Post meetings are held on the 2nd Thursday of each month at the offices of Ted Ross Consulting, 9210 Wightman Rd, Suite 110, Gaithersburg, MD 20886. Afghanistan and other parts of the world. Every service is represented, our members are either serving on Active Duty, National Guard & Reserves or have completed their service and are Veterans and Retirees. with a membership of 351-500. THE GUEST BOOK IS FOR GENERAL COMMENTS ABOUT THE SITE. 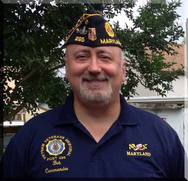 (C) Copyright 2014, American Legion Post 295, PO Box 690, Germantown, MD 20875. Contact the webmaster by clicking here.